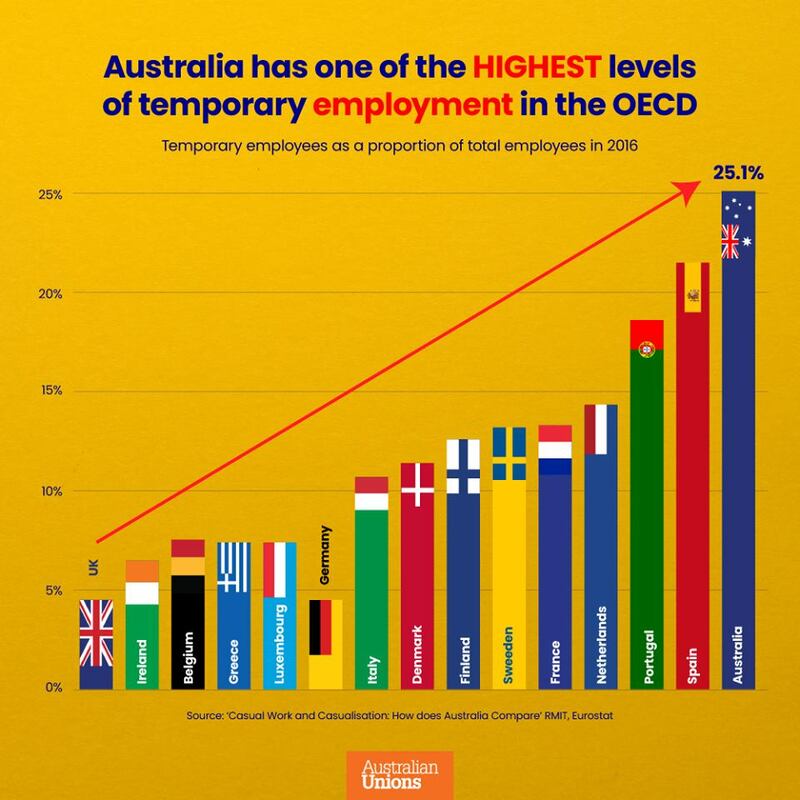 There is a post being shared around by Australian Unions that claims Australia has one highest level of temporary employment in the OECD. The image has a list of 15 countries where the OECD has approximately 30 nations. Is the statement made about employment fair or misleading? Browse other questions tagged australia employment .